It's R2-D2 from Star Wars: Episode IV - A New Hope. 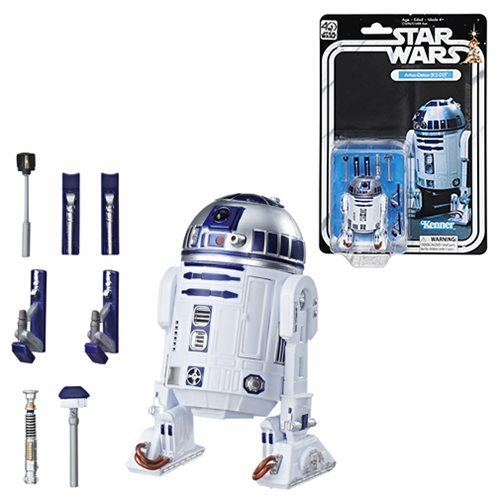 This Star Wars Black Series 40th Anniversary R2-D2 6-Inch Action Figure includes awesome accessories like jets, robot arms, and even Luke's lightsaber from Return of the Jedi. Ages 4 and up.